The Bear Grylls Ultimate Survival Kit is specially designed to give you options in hostile environments. In a compact and lightweight design you'll find a 16 piece kit containing a Miniature Gerber Multi-Tool, a light, and all the tools you'll need to prepare a campsite and keep your items in order. Introducing the Bear Grylls Survival Series of gear. This collaboration brings together Gerbers over 70 years of tool and gear expertise with Bear Grylls' extensive outdoor survival and adventure experience to create a one of a kind line of tools and gear. Showing our 4 Gerber Bear Grylls Ultimate Survival Kit LIMITED STOCK reviews with an average rating of Excellent. Would you like to write a review? Its an amazing kit but it would be a lot better if you changed the multi tool for a scout knife then I would buy it instantly! 4Gret kit but where's the compass? This is a really good kit, don't get me wrong, however a compass would be a well thought out and much needed addition in my view. 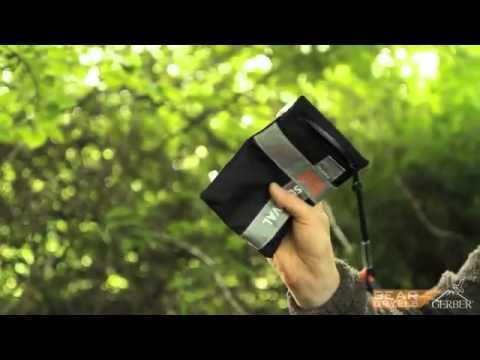 What a kit, what a great idea from Gerber and Bear Grylls. Buy it, you never know when it might come in handy. Fantastic kit, I particularly like the flint and steel which works perfectly. A lot included for the price. The Bear Grylls Ultimate Survival Kit is supplied with a lifetime warranty.